Experience the bustling city of Dubai with its amazing variety of shops, bars and restaurants followed by the quieter resort of Ras Al Khaimah with its perfect white sandy beaches. 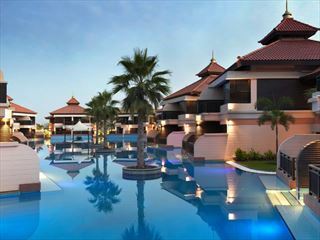 Our Dubai and Ras Al Khaimah packages can be totally flexible to fit your requirements. 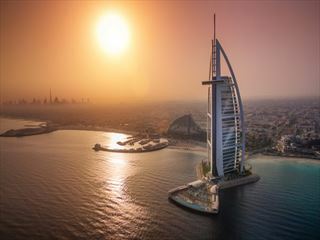 Combine 2 nights in Jumeirah Beach staying at the beautiful 5* Hilton Resort & Residence ideally located for shopping, bars and nightlife followed by 5 nights in Ras al Khaimah at the Hilton Resort combining the best that the United Arab Emirates has to offer - city and beach. Located on Jumeirah Beach, the Hilton Resort & Residence has a wealth of facilities and is ideally located for you to explore Dubai. 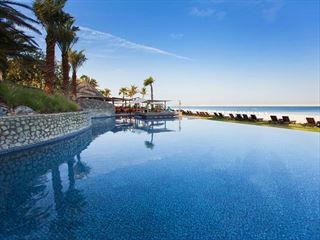 Located on the best beach in Ras Al Khaimah, the resort offers a complete selection of restaurants and leisure facilities for couples and families - the beach is beautiful and the Villas are spaciuos and perfect for large families.